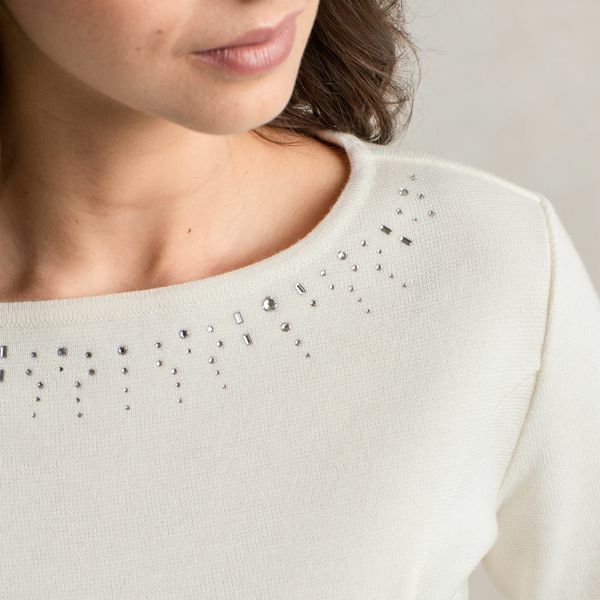 Our Kanazawa-made washable knit top adds a subtle elegant glimmer, while gorgeously framing your face with Swarovski crystals along the neckline. The Milano ribbed material accentuates your figure beautifully. The neckline features an embellishment of Swarovski crystals, giving any outfit a sense of luxury. Pair with a jacket for a subtle appearance. The glossy Milano ribbed material feels durable to the touch. 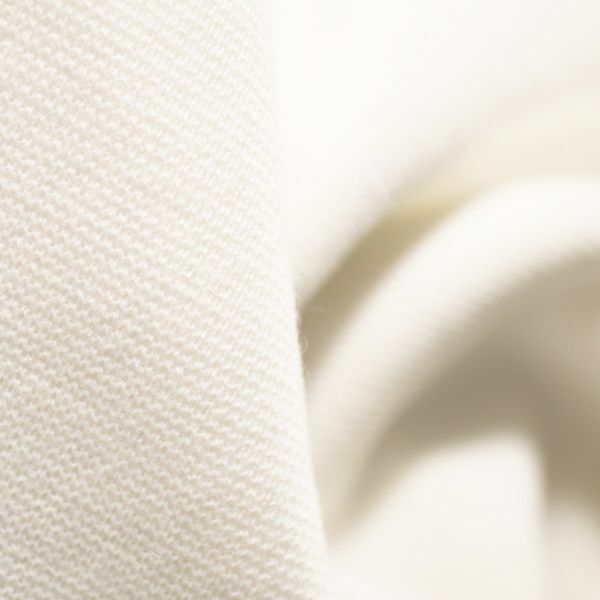 The luxurious wool-blend material used is washable. The use of panel lines creates dimension while your waistline is gently hugged to accentuate your curves. Layer on top of your dress for extra warmth or pair suits, or with a knitted long skirt made from the same material. A beautifully designed top that will add a touch of flair to any outfit.